One in five people between the ages of 16 and 24 don’t work and don’t go to school in the Phoenix area. They’re called “disconnected youth” – and experts said they have a significant impact on the economy. Disconnected youth cost taxpayers $26.8 billion nationwide in 2013 alone, according to a report released in June by Measure of America, a nonprofit initiative that researches human development. 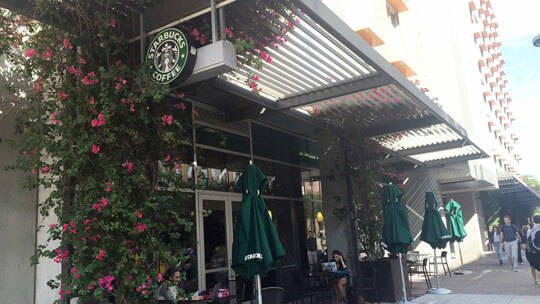 Starbucks, along with dozens of other large corporations, will host a job fair in Phoenix targeting this population of disconnected youth on Oct. 30. It’s part of the “100,000 Opportunities” initiative, which aims to train and hire 100,000 Americans by 2018. The job fair is from 9 a.m. to 4 p.m. at the Phoenix Convention Center. Organizers said they plan to have more than 1,000 openings, according a news release. The event follows a similar one hosted by the coalition in Chicago in August. More than 4,000 people attended that event, and companies extended on-the-spot job offers to more than 800 youth, according to Starbucks. After the Chicago event, Starbucks began identifying cities with a high population of “opportunity youth,” a Starbucks spokeswoman said via email. The spokeswoman said they chose Phoenix because of the high population of “opportunity youth,” the availability of jobs and the willingness of community groups and civic leaders to support the effort. The employer-led coalition will work with Phoenix, Maricopa Community College and Arizona State University, along with other community-based companies, to train and hire disconnected youth in Maricopa County. Workshops will include training in resume writing, interviewing skills, college success, impressing your boss and setting goals. 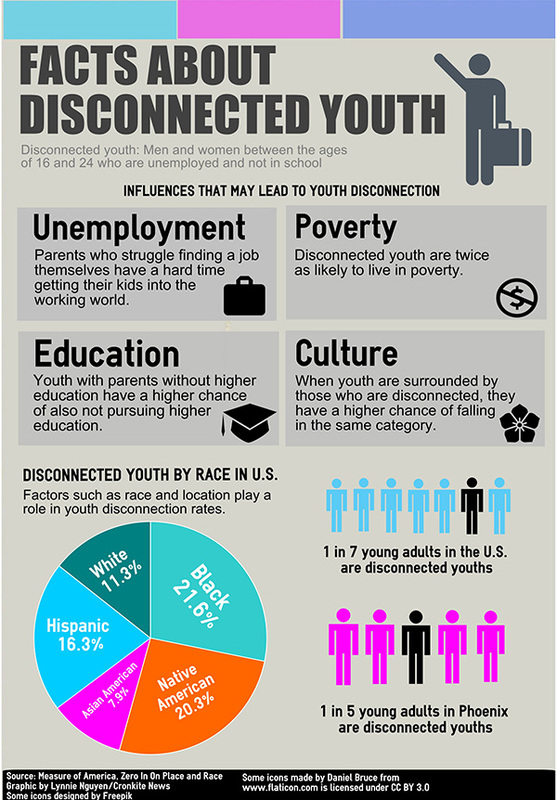 In 2013, Phoenix had the highest rate of youth disconnection in the nation. The Phoenix area’s ranking improved in the 2015 Measure of America report, but it still ranks in the Top 15 for major metro areas for youth disconnection. The report used U.S. Census data and estimated more than 95,000 youth live in the Phoenix, Mesa, Scottsdale area and don’t work or go to school. Starbucks and ASU representatives did not respond to questions about how they plan to reach this population for the job fair. The population of disconnected youth in the United States is larger than the population of 30 states combined, according to an analysis from the Congressional Research Service. There are about 5.5 million disconnected youth in America today, according to a 2013 report from Measure of America. That’s an average of one in seven young adults who don’t have a job and don’t go to school. While the average in the U.S. is 13.8 percent, in Phoenix, 17.3 percent of young adults are disconnected, according to the report. “While the statistics are sobering, our city is seeing a small but powerful groundswell of civic, community and elected leaders that are working hard to give youth in Phoenix the type of meaningful job and educational opportunities they deserve,” Phoenix Mayor Greg Stanton said in a statement. Starbucks and the Schultz Family launched the initiative in August 2015, which now consists of 33 companies nationwide. Alaska Airlines, Cintas, CVS Health, Dominos, FedEx, Hilton Worldwide, HMSHost, Hyatt, JCPenney, JPMorgan Chase, Lyft, Macy’s, Mars, Microsoft, Nordstrom, Papa John’s, Pizza Hut, Potbelly Sandwich Shop, Red Robin, Taco Bell, Target, T-Mobile, Teavana, Toms, Villa, Walgreens, Walmart and Chipotle are some companies that make up the 100,000 Opportunities Initiative.